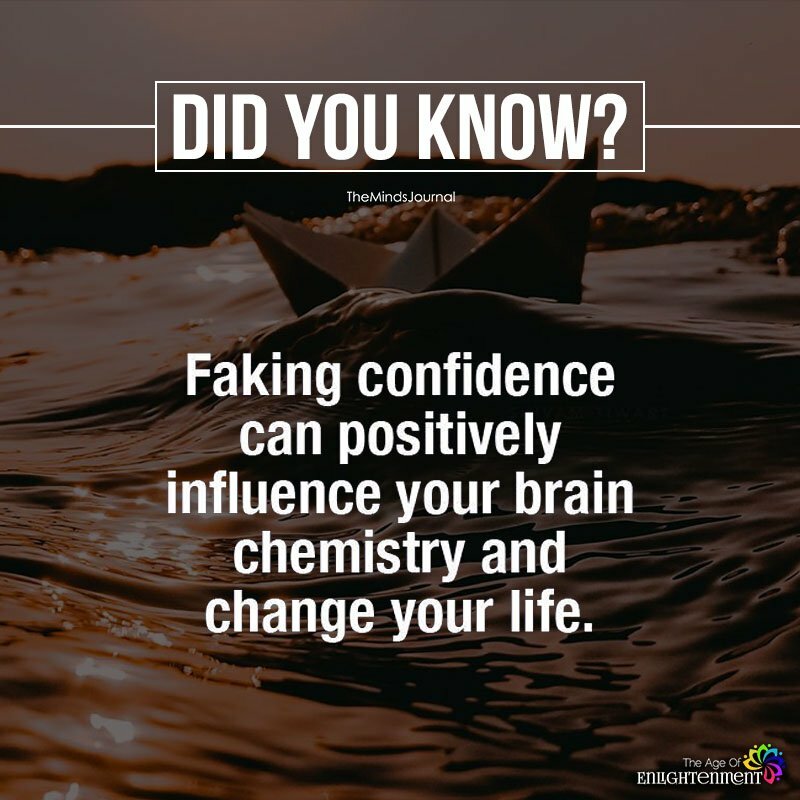 Faking confidence can positively influence your brain chemistry and change your life. False motivation is better than, no motivation. Fake it till u make it! As long as it’s not harming others of course. Ok, this one actually does work. It true, apparently when you fake it over a period of time it actually becomes your personality. You can grow and become confident there for by trying to be confident it builds confidence in youself. Just because it isnt understood immediatley doesnt mean you fake it. Those characters you play are all you. You will eventually learn to incorporate all of them into one consiousness.